February 15th Show : Blog Of The Nation Today on Talk of the Nation, some of the pros and cons of the proposed budget, Jeopardy! phenom Ken Jennings takes on Watson, quitting smoking, and the issue of ideological diversity among university colleagues. Host of Jeopardy! Alex Trebek attends a press conference to discuss the upcoming Man V. Machine Jeopardy! competition at the IBM T.J. Watson Research Center on January 13, 2011 in Yorktown Heights, New York. The Budget: What About The Deficit? President Obama's budget is out and the political wrangling has begun. Cutting the deficit, entitlement spending and the defense budget are all hot button issues, and there's no shortage of opinions about how the President's plan deals with each of them. Host Neal Conan will be joined by NPR White House correspondent Scott Horsley to discuss what's in the the President's budget and what the Republicans are proposing. Washington Post columnist Ezra Klein and Maya MacGuineas from the New America Foundation will offer their views on how to get the deficit under control. 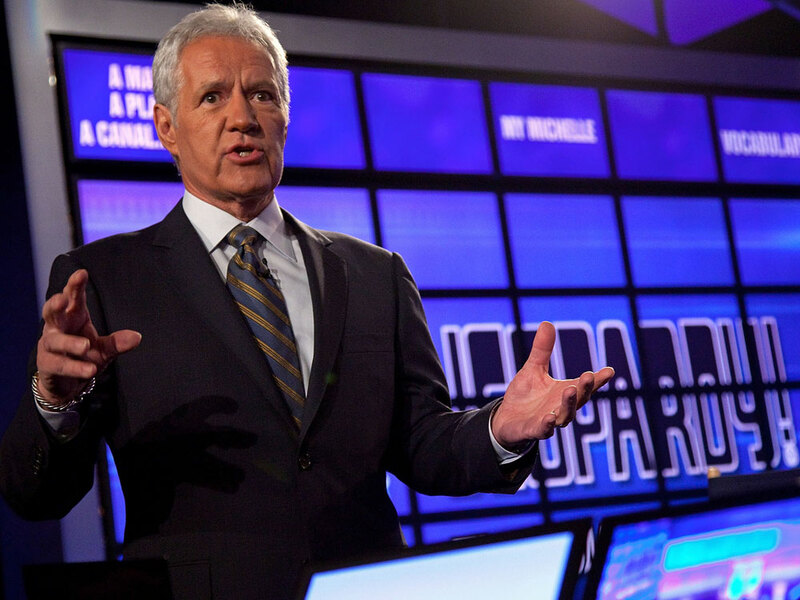 This week, the trivia game Jeopardy! hosts a "Man vs. Machine" showdown. Jeopardy! champions, Brad Rutter and Ken Jennings, go toe-to-toe with I.B.M. supercomputer Watson. Host Neal Conan talks with Jeopardy! champion and Watson's foe, Ken Jennings, about preparing for the match and what victory for Watson might mean. While according to the First Lady, the President hasn't had a cigarette in a year, as many as 3/4 of smokers who attempt to quit find themselves smoking again after the first six months. And across the world, smoking is still rampant. Smoking could eventually kill a third of young men in China, if nothing is done to get them to drop the habit. Neal Conan talks to experts about current strategies in beating the addiction and how other parts of the world are managing smoking problems of their own. At the annual meeting of the Society for Personality and Social Psychology's conference, psychologists gather to discuss their research on racial prejudice, homophobia, sexism and other forms of bias. But at the most recent meeting in January, social psychologist Jonathan Haidt discovered an unexpected form of bias within the group of social scientists: political bias. In an informal audience poll of the 1000 convention attendees, only three claimed to be politically conservative. Host Neal Conan talks with Haidt about the bias within the field of social science and the experience of being a political loner in the workplace.